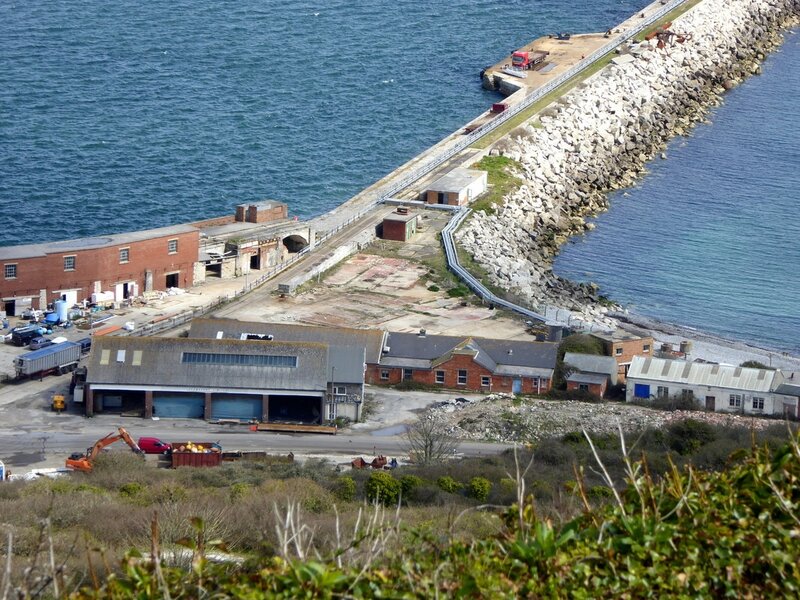 Admiralty Quarries is an area of former quarries established by the Admiralty to provide stone for the construction of the breakwaters of Portland Harbour, along with other government works. They were in use from 1849 and closed in the 1930s. As the quarries were worked using convict labour from HM Prison Portland, they were often referred to as the Convict Quarries. 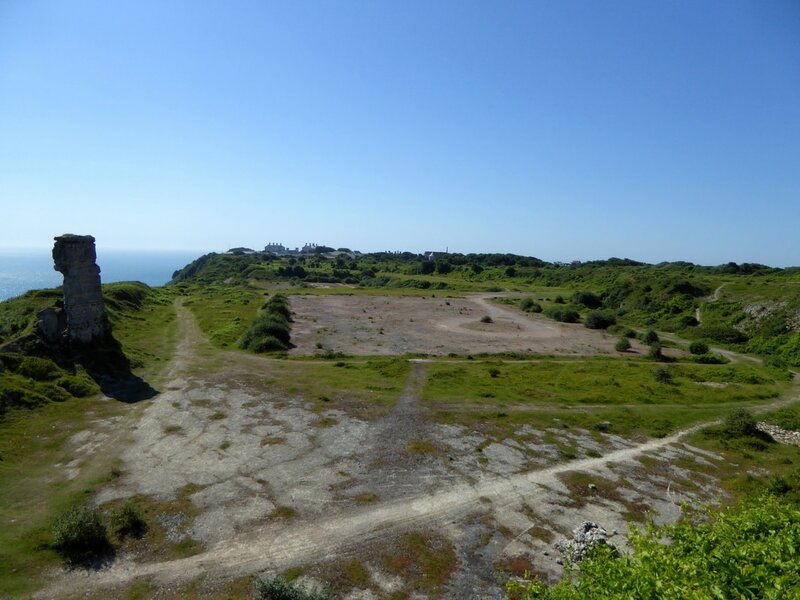 At the peak of their use, the quarries were extensive, covering land to the north of Grove Road, near the prison, along East Cliff to Verne Hill and west towards Waycroft Quarries. One section remains in use today for the production of aggregate. The first proposal to transform Portland's anchorage into a harbour of refuge was made by John Harvey of Weymouth in 1794. Although his suggestion was not received with great interest at the time, the fear of French invasion leading into the 1840s played a key part in generating support for the idea. In 1845, a naval commission recommended the anchorage be transformed into a harbour of refuge and Royal Assent was obtained in 1847, allowing two breakwater arms to be constructed between 1849-72. Meanwhile, the new works allowed the Royal Navy to gradually establish a base at Portland. In order to provide the stone needed to build the breakwaters, the Admiralty purchased a large amount of common land within the north-east region of the island in 1846, with money granted by Parliament. 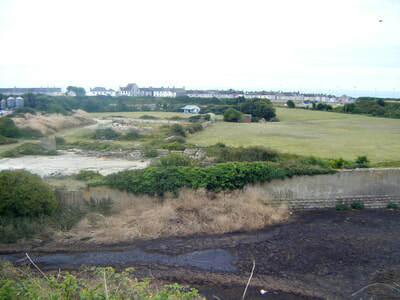 The cliffs at East Cliff had already been in use as part of the King's Quarries since the 17th century, but the rest of the purchased land was agricultural. 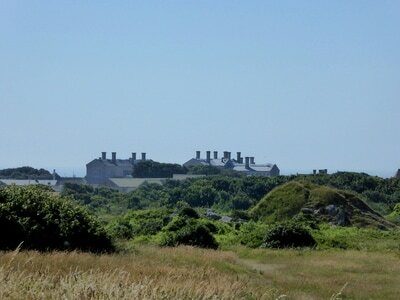 To provide the labour required in the quarries, HM Prison Portland was established at the Grove in 1848, with the first convicts arriving in November that year. Prior to any work in the quarries, the convicts had to undertake a variety of tasks within the prison and its walls to complete the establishment and make it ready for occupation. 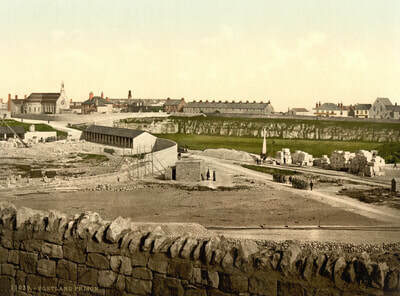 This included the levelling of parade grounds and decorative work, while the convicts also laid Grove Road, thereby connecting the prison to Easton village. The Admiralty Quarries were established in 1849. Once the prison and its facilities were in order, the convicts, approximately 500 of them, started to carry out preliminary work in the quarries in July that year. In an 1850 report of the prison, it was revealed that the convicts were "forming embankments and excavations for the lines of rails leading from the quarries to the inclined plane and the breakwater; laying rails on sleepers and ballasting; levelling ground for sheds and workshops, getting out and stacking stone, filling it into wagons; drawing the wagons to and from the incline." The convicts also erected cranes and derricks. A stone yard was created, along with buildings to work in (depicted on maps as the Admiralty Workshops). 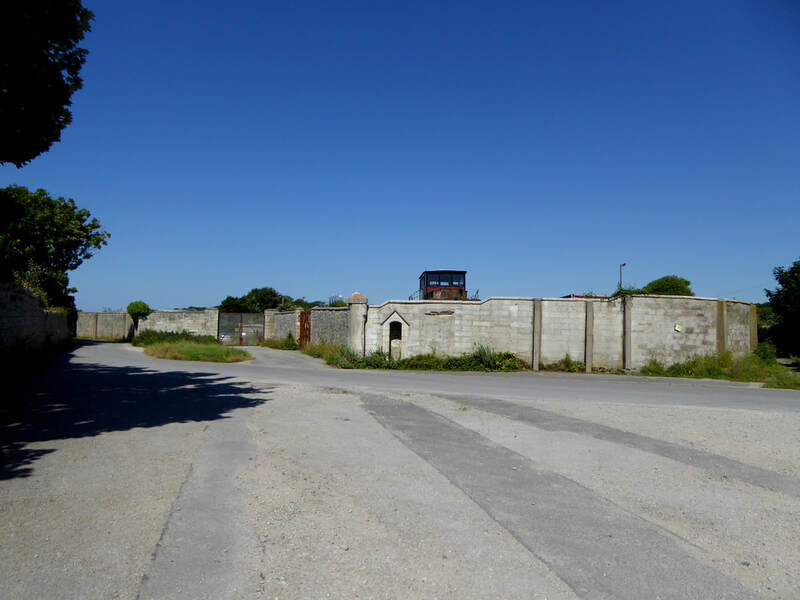 These buildings, and the yard, were largely concentrated north of the prison and included a blacksmith's shop and a foundry, while further south, a lime kiln was built near to the prison's gas works. At the prison, convicts were to "undergo a period of probationary discipline and be employed in the construction of the breakwater prior to their removal to the Australian colonies". After a period of solitary confinement, the convicts were then to undertake hard labour in the quarries. In return for good behaviour, convicts would be given a "Ticket of Leave", which would grant them certain freedoms when they were sent to the Australian colonies, including the ability to seek employment within their designated district. Once the preliminary work had been completed, convicts began producing stone for the breakwaters. Blocks would be roughly squared, loaded into wagons and taken out of the quarries, initially using horse power and later locomotives. The stone was transported to the top of the Admiralty Incline Railway, where civilian contractors working on the breakwaters then took responsibility of the wagons, which were weighed and sent down to Portland Nore. The Admiralty would cover the Prison Department's costs of quarrying, but if stone was produced for the harbour's fortifications, the War Office would pay. The establishment of the prison and the quarries soon attracted visitors from across the country, who would watch the convicts at work. Along Grove Road, a number of residents opened tea rooms and cafes in the upstairs of their houses. The convicts had a range of tasks in the quarries and quickly acquired valuable skills. Aside from the quarrying, they would dress stone when required, and undertake plant maintenance (tools, machinery and other equipment) and further excavation work when necessary. An 1856 report on the prison recorded: "The works performed have consisted of quarrying blocks of ashlar stones of large dimensions; rubble stones, and stripping and excavating; dressing blocks of ashlar for pier-heads, etc; laying railways; making Derrick cranes, a travelling gang-tree, stone-trucks; moulding, casting and fitting machinery, traveller and truck wheels, and other foundry work; making wheelbarrows; pattern making; fitting, turning, and boring; repairing iron and wooden wagons; keeping the whole of the quarry plant in repair, and doing such other work as was required." The operations within the quarries were patrolled by warders and guards, who were armed with sabers and muskets. A number of look out posts were created around the area.. The amount of stone being produced quickly began to increase. In August 1850, the daily average of stone produced began to exceed 100 tons, and over 800 convicts were working in the quarries by 1851. As production continued to climb, the prison had to be expanded and by 1853, over 1,500 convicts were incarcerated there. Once the resources in one area of the quarries had been depleted, the convicts would remove the railway tracks and relay them in the next area to be quarried. 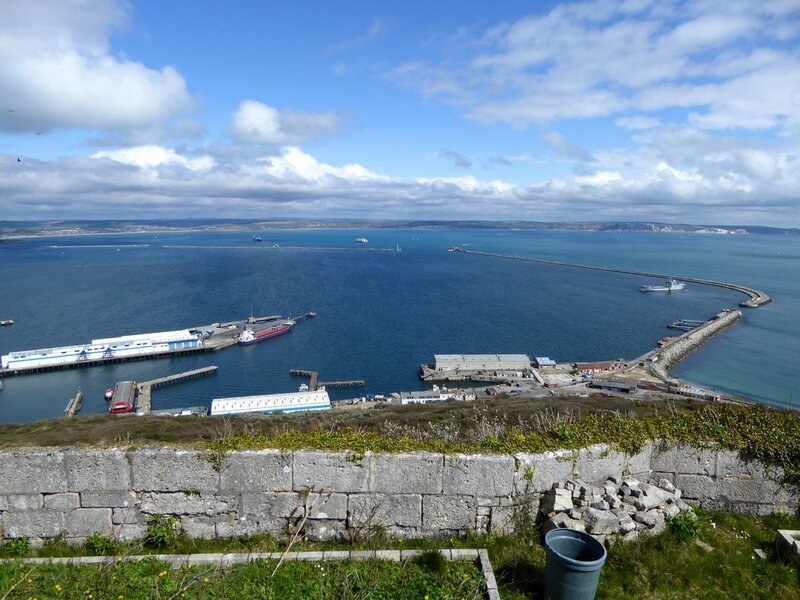 Aside from the breakwaters, the quarries also produced stone for use in the construction of Portland's fortifications, including the Verne Citadel, and other government works on the island. In addition, some stone was produced for other public works elsewhere in the UK, including the HM Dockyards of Portsmouth and Chatham. As the work progressed, locomotives started to be used within the quarries from the early-to-mid-1850s. By 1853, work had begun on adapting the existing railway lines for their use. At the top of the Incline Railway, the Admiralty constructed a locomotive shed/workshop, now known as the Old Engine Shed, to house them. Horses would still transport the wagons from the immediate quarry area, with locomotives then taking over a chain of wagons and transporting them to the top of the incline. The quarries were recorded in 1853 as having eighteen Derrick cranes and two travelling gang trees among the machinery used. 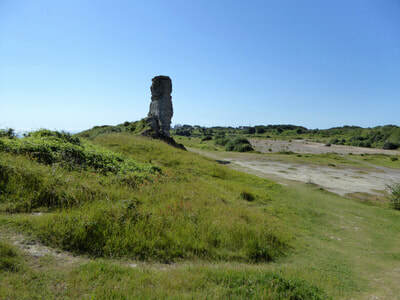 Outside of the quarries, some convicts provided labour at the Verne Citadel, including the excavation of the ditch, which took 30 years to complete. Over the course of the breakwater's construction, an estimated six million tons of stone was used, with over five million tons having been sent down to the harbour by September 1861. 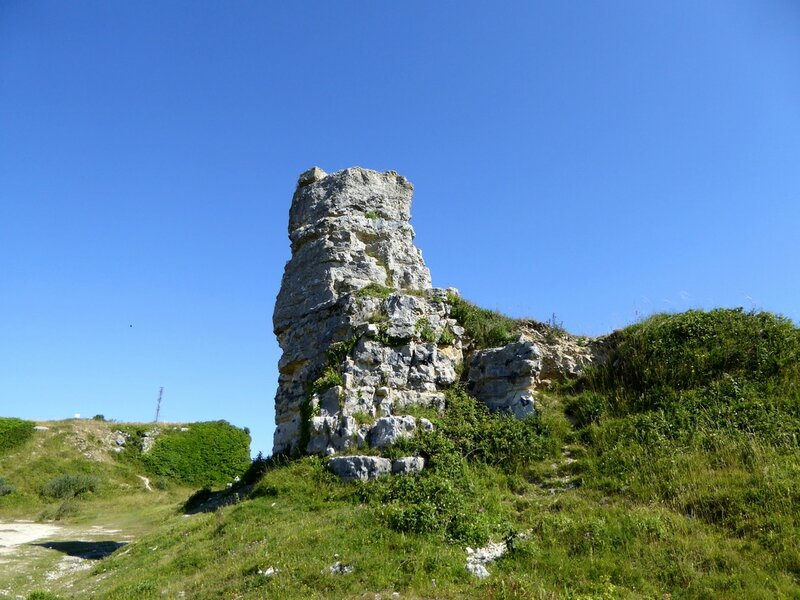 Although the excavation of the ditch around the Verne Citadel provided some of this stone (around two million tons), most came from the Admiralty Quarries. At peak times, the Incline Railway sent between 2,500-3,000 tons of stone down to the harbour a day. One week saw a record 25,000 tons sent from the quarries, while between June 1857 to December 1859, the quarries produced 1,121,774 tons of stone alone. Although working hours were long, and convicts were not as efficient as contractors, the use of their labour in the quarries was quickly deemed a success. An 1853 report by the Surveyor-General of Prisons noted that the convicts showed "a spirit of willing and cheerful obedience" The report added: "The strictest discipline is maintained, with a very small proportion of punishment. On the whole, though I felt very hopeful of success when Portland Prison was first occupied, the results have far exceeded my expectations." 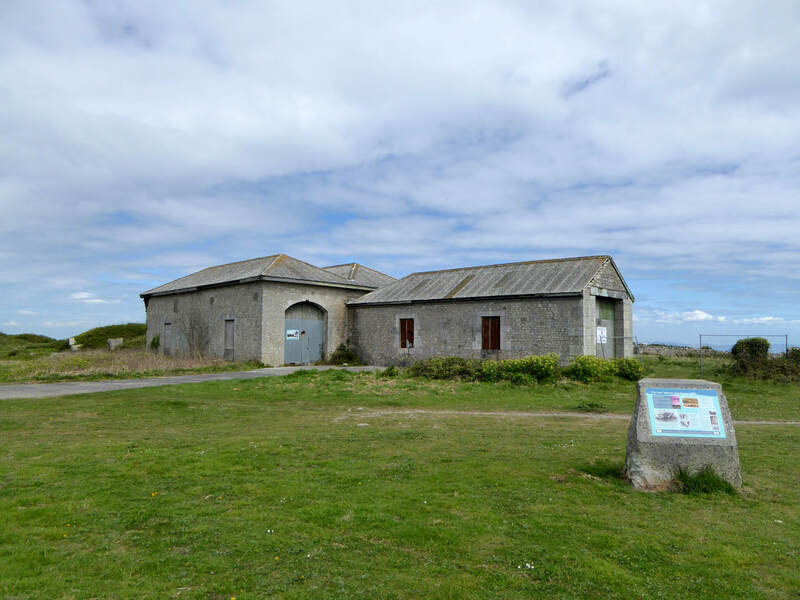 Despite the original intention of being temporary to provide the necessary labour in the quarries, the government announced their decision to make Portland's prison a permanent establishment in 1869. After the completion of the harbour's original breakwater arms in 1872, the Admiralty Quarries continued use on a smaller scale as part of the convict's daily labour routine. 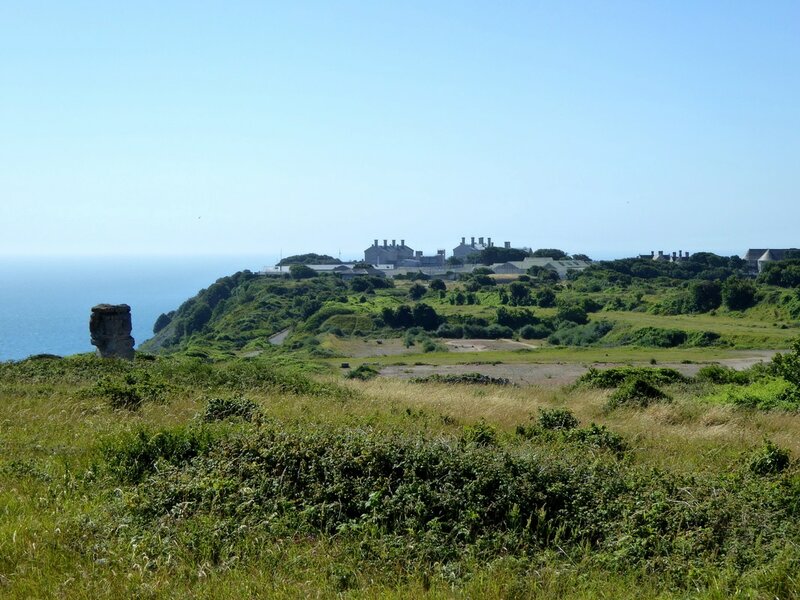 The workings to the far north along East Cliff were abandoned and quarrying was concentrated closer to the prison, with operational areas spanning from north of St Peter's Church and out west along Grove Road. The workings would advance further west along Grove Road over time, but did not proceed much further than the beginning of the road's terrace. Much of the stone produced around this period was sent across the country, but namely London, for other public works as directed by the government. Between 1890-96, the Admiralty Quarries produced much of the stone used to upgrade Portland dockyard's coaling facilities. The Incline Railway returned to operational use for the work, which was carried out by Messrs Hill & Company of Gosport. Meanwhile, that same decade, the rising fear of torpedo and submarine attack led to plans of completely enclosing Portland Harbour. Prior to the construction of two new breakwater arms, plans were approved for temporary measures to include a 600 yard bank of stone spanning out from Bincleaves, along with the installation of dolphins to hold boom defences in place across the remaining open section of the harbour. The work was carried out in 1894-95, with Messrs Hill & Company hired as the contractors, primarily because they held the existing contract for use of the Incline Railway, meaning they were in the best position to provide the required stone for the works from the Admiralty Quarries and surrounding areas. 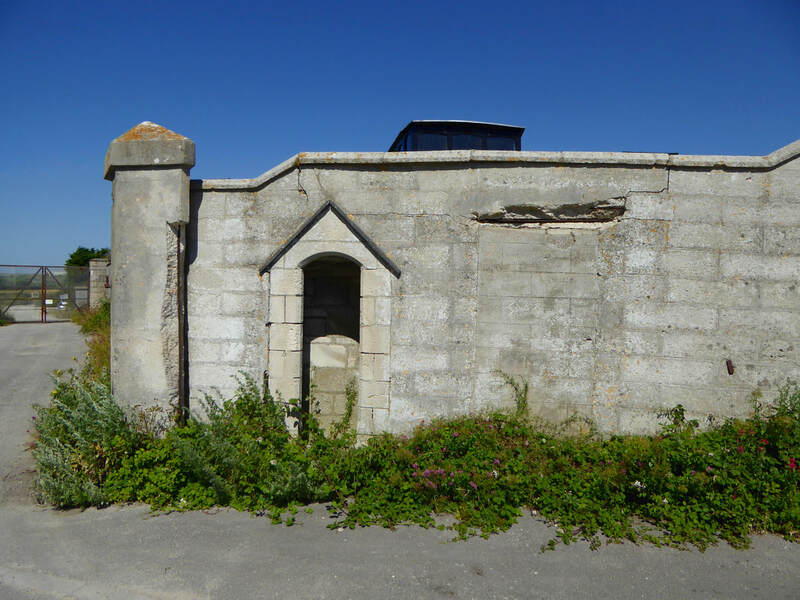 While construction of the new breakwaters commenced in 1896, a major rebuilding programme also began on Portland prison's cell blocks that same year. The Admiralty Quarries began to provide stone for both of these projects, with the working areas being expanded to meet the large rise in demand. The Incline Railway was again used to transport the stone being used on the new breakwaters down into the dockyard, while locomotives began operating on existing and newly-added quarry lines. By this time, the prison's population remained around 700. 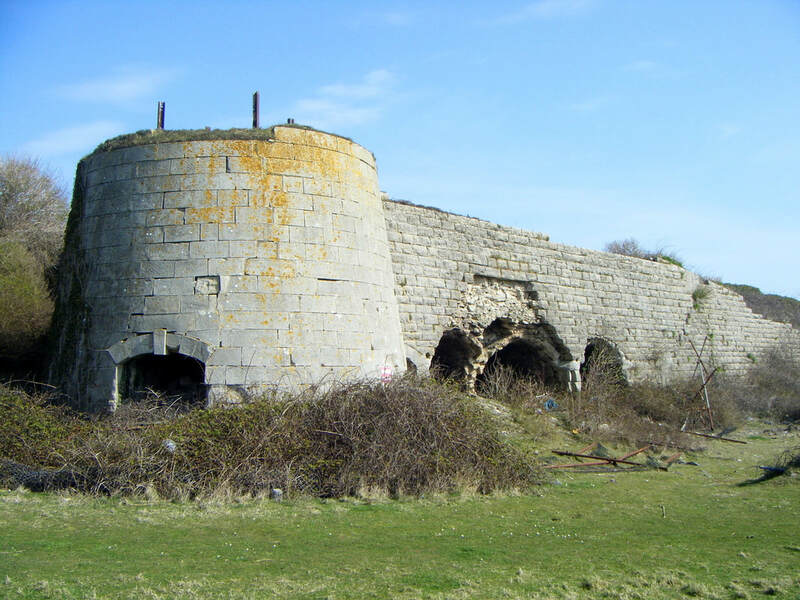 During the 1890s, a new stone yard was established to the north-west of St Peter's Church, primarily for the dressing of stone, and featuring sheds, a lime kiln, rail sidings and various cranes. Much of the stone for the prison's new cell blocks was dressed there. 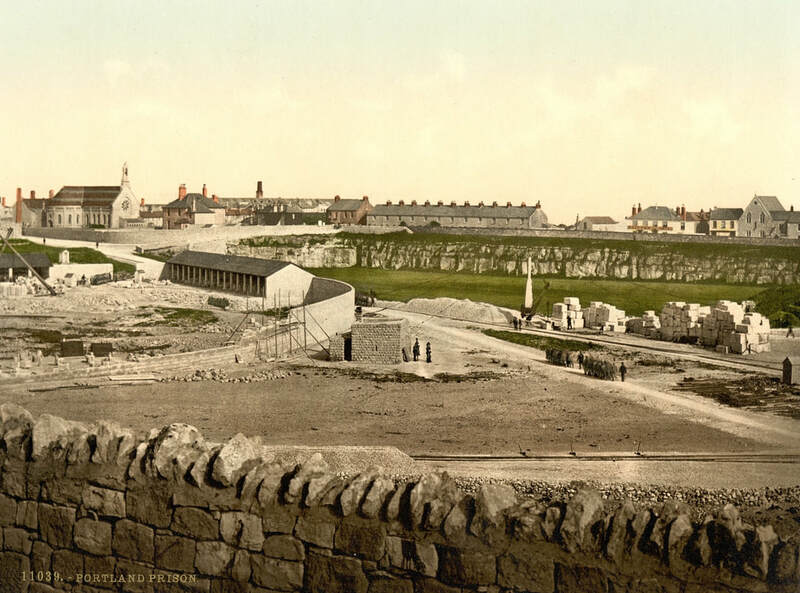 A quarried area to the south was also levelled and transformed into a recreation/cricket ground during this period, while a large part of the original stone yard was transformed into Officers' Quarters, which expanded over time. After the new breakwaters were completed in 1905, more stone was produced in 1909 for use in raising the height of the north-eastern breakwater arm, while the last of the prison's new cell block works were completed in 1911. After that, a proportion of the quarries reverted back to small-scale use by the convicts, producing stone for public works across the country. Surplus locomotives and machinery had been sold off in 1911, and in 1913, the Admiralty transferred ownership of the workshops area to the prison authorities. However, the railway tracks and the Incline Railway remained in a state of readiness. Although their use was infrequent, they became operational whenever the Admiralty required some stone to carry out minor maintenance on the arms. HM Prison Portland was converted into a Borstal Institution in 1921. As quarrying was deemed unsuitable labour for the 16-21 year old boys, the Admiralty would contract workmen to undertake the small-scale work within the quarries whenever stone was required for the breakwaters. The last operational section of the Admiralty Quarries closed in 1936 after the Admiralty struck a deal with local stone companies to supply them with any future requirements of stone. With its closure, various buildings within the quarries were demolished, the tracks in the quarries and of the Incline Railway were removed, along with the last locomotive from the shed. 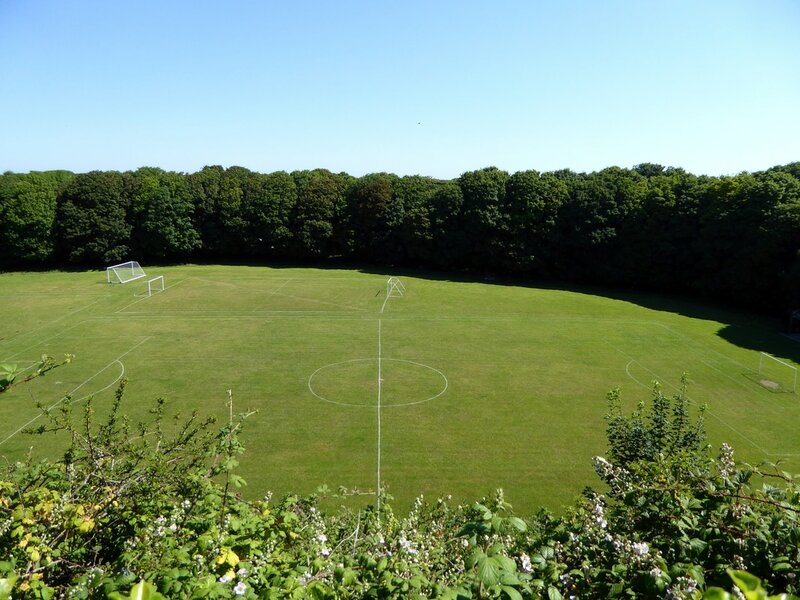 An abandoned pit within the quarries was transformed by Borstal boys into a stadium between 1931-36. Once completed, sports days and other events were held there over the following decades. An area next to the existing recreation ground was later transformed into a sports ground during the mid-20th century. By the 1970s, an adjacent section had become a piggery as part of Grove Farm, providing the Borstal boys with agricultural training as part of their rehabilitation. 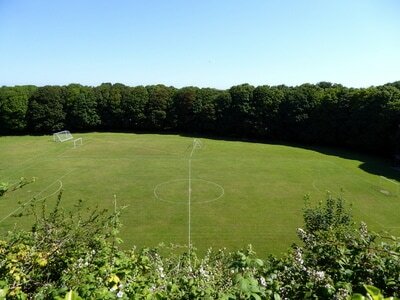 In 1994, an area of the former quarries, further west along Grove Road, became the new grounds of Portland United F.C. The club had to relocate there from Grove Corner after expansion of the adjacent Independent Quarries. The former prison-operated pig farm is now run commercially by a private operator. The prison stopped operating Grove Farm in August 1996 after it was deemed unprofitable and closed by the Home Office. In 1982, the Crown Estate leased an area of the Waycroft/Admiralty Quarries to Albion Stone. 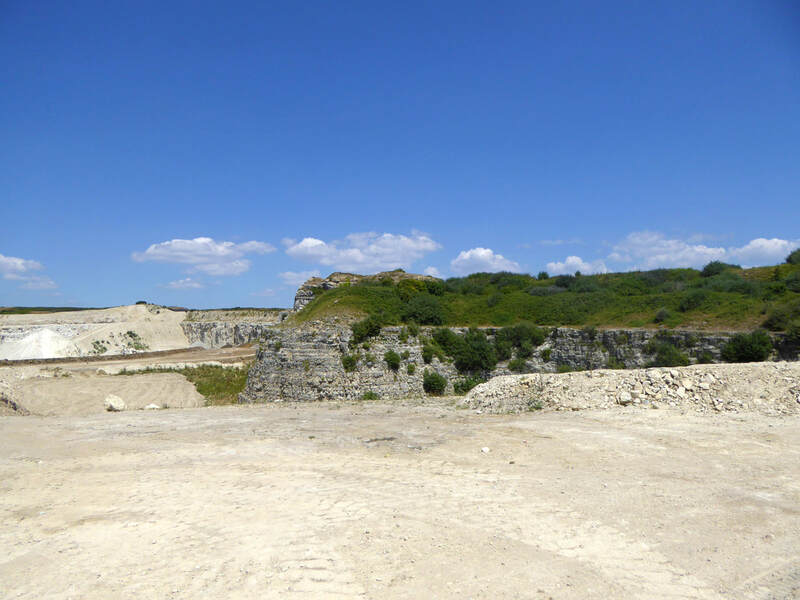 Since the late 1980s, the quarry has been primarily worked for aggregate, which continues to be created on-site with the use of heavy machinery to blast and crush the limestone. Today the quarry is operated by G Crook and Sons. Plans for the restoration of the quarry date back to 1996, when Portland Plant Hire Limited submitted a planning application to restore the active quarry. However, the application was soon withdrawn. 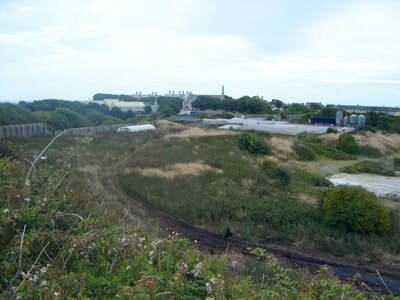 G Crook and Sons submitted a similar plan in 2007, which received permission to restore the quarry using waste material. Once infilling was completed, the site was to be restored to limestone grassland. Waste material began being dropped into the south-east area of the quarry in 2008. 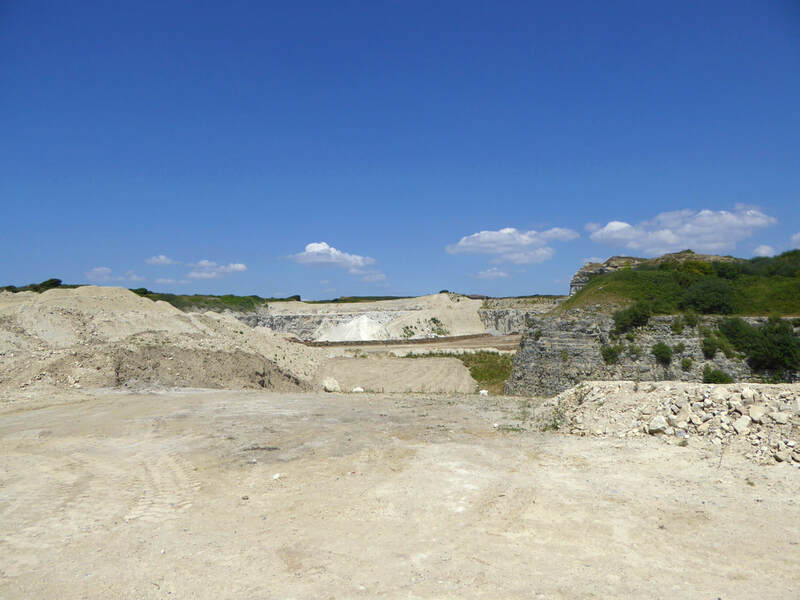 In 2011, G Crook and Sons revised their restoration plans to include full infilling of the active quarry. 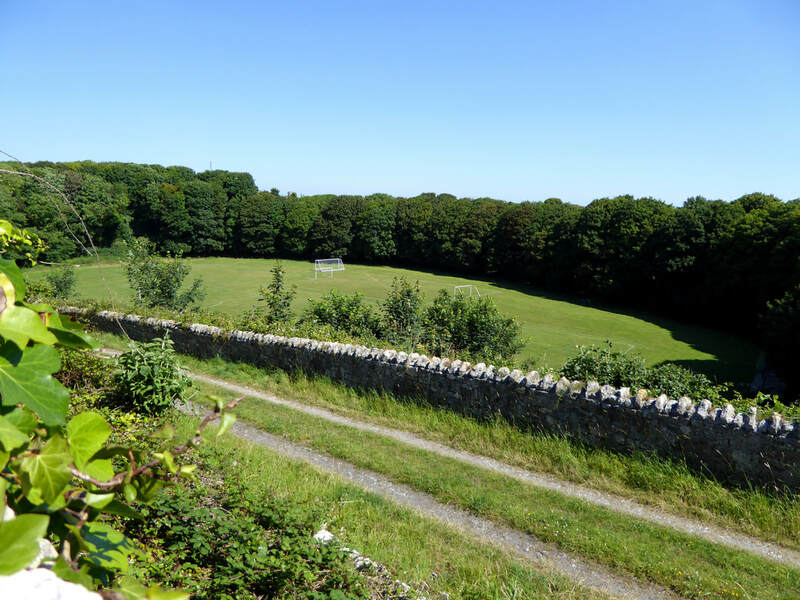 It was felt that this was a better option in the long term, as the original plans' partial infilling would have left a 20 metre deep quarry with steep faces close to public footpaths. Aside from safety risks, it was believed that a full infilling would provide a more attractive setting and a more successful restoration of grassland. 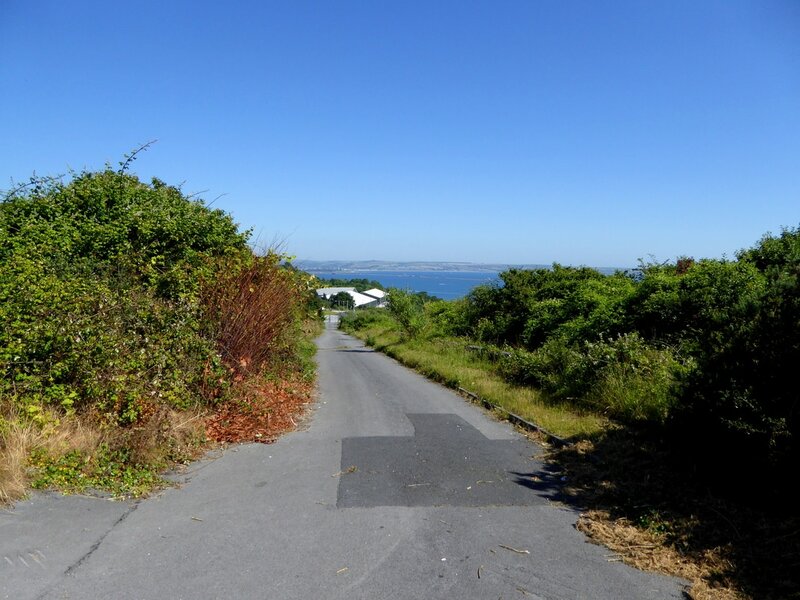 A new planning application based on the new plans was submitted in 2012 and soon approved by Dorset County Council. The infilling phase is expected to be completed by 2026. 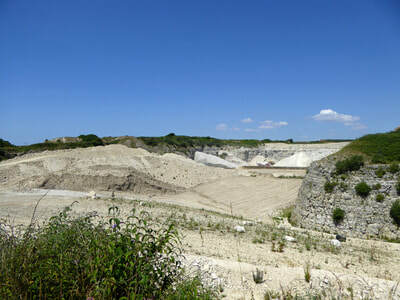 When completed, it is expected that the restored quarry will look similar in nature to the restored King Barrow Quarry Nature Reserve. Today, much of the former quarries are popular with walkers. At East Cliff is a 30-feet pillar known as Nicodemus Knob, which remains a quarrying relic, showing the original ground level height before the area was quarried. Although it is unknown why the pillar was left, theories include its use as a seamark, a boundary marker or simply to record the original height of the ground. Near to the pillar are two large rectangular areas, which were later transformed into playing fields for HMS Osprey in the late 20th century. In 1995, Portland Port Ltd acquired the land, which was then used as an industrial storage site. This was still in existence in 2006, but was later stripped and all storage removed. Since that time, the site remains empty. The locomotive shed, now known as the Old Engine Shed, survives and became Grade II Listed in 2001. Nearby are the ruins of another contemporary building. A covered reservoir, which was constructed for the Admiralty, survives too, and first appeared on an 1864 map. The site of the quarries' original stone yard and Admiralty workshops (now known as the back shops) are now enclosed within the prison's perimeter. A surviving lime kiln, known as Grove Lime Kiln, also survives at the quarries' second stone yard, and became Grade II Listed in 2009. Although all other contemporary buildings have been demolished in the yard, some of the boundary wall survives. 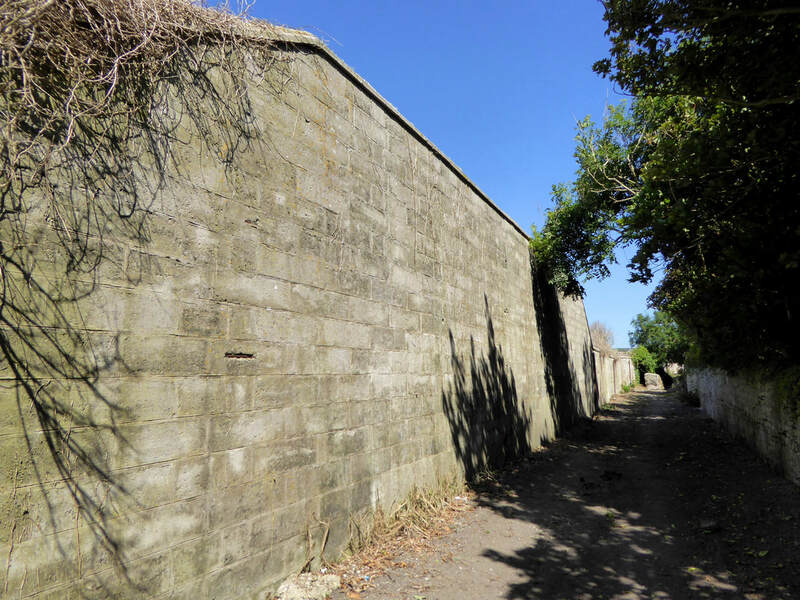 Along Grove Road, and in other areas further north, are surviving stone walls, built to enclose the working quarry areas. Many of the surviving walls are Grade II Listed today, including one with a surviving sentry post. 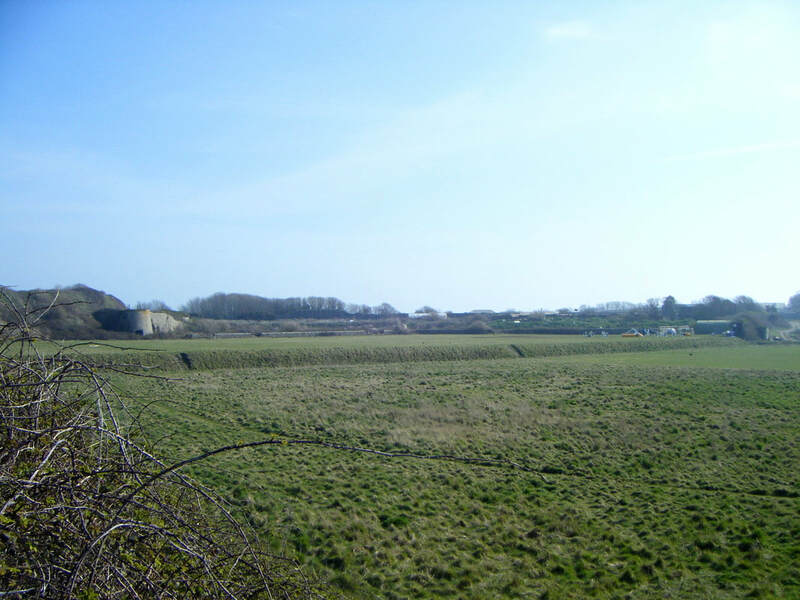 A large amount of the former quarries from East Cliff to King Barrow have been designated Sites of Special Scientific Interest (SSSIs). 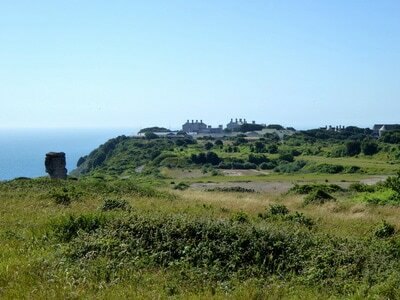 One area at East Cliff is also a Special Area of Conservation. This image can be enlarged by clicking on it. To view the information attached to the photograph, you can either enlarge the image, or hover the mouse over the thumbnail. Looking across a large area of the former Admiralty Quarries and towards HM Prison Portland. 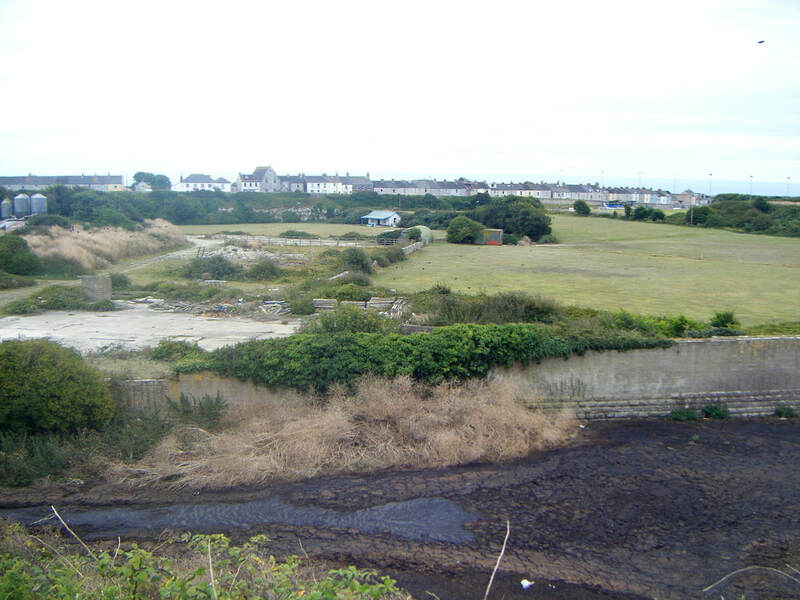 Another view across East Cliff area where stone was produced for the breakwaters. This 30-feet pillar is known as Nicodemus Knob, marking the original height of the land before it was quarried away. The Old Engine Shed once housed locomotives that operated in the quarries. 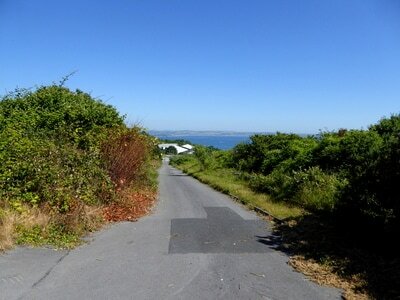 Near to the shed is the top of Incline Road, where the Incline Railway once ran down to the dockyard. Looking across the piggery farm towards the prison. A surviving section of wall can be seen on the left. Looking across the site of the prison's second stone yard towards Grove Road. Much of this area has since been transformed for other uses, such as the recreation ground. The Grove Lime Kiln, built in the second stone yard, survives to date and is Grade II Listed. Looking across this restored area towards the lime kiln. A surviving section of wall behind St Peter's Church. In one part of the Admiralty Quarries, this sports stadium was constructed out of an old quarry pit in the 1930s. Another section of surviving wall close to the stadium. The only section of Admiralty Quarries to remain active, primarily to provide aggregate. A view of the dockyard and beginning of the Inner Breakwater from the Verne Citadel. Stone on the Incline Railway ran down to this site for the construction of the arms. 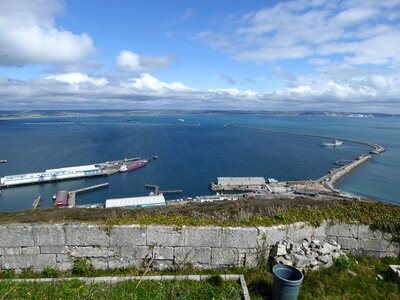 A good panoramic view across Portland Harbour. All four breakwater arms used stone provided by the Admiralty Quarries and carried down the Incline Railway.